Madrid, 27 January 2014. – The Spanish company Molecor Tecnology SL, worldwide leader in technology and production of PVC pipes (PVC-O), announces that it has entered into a memorandum of understanding with FITTERS Diversified Berhad, to invest in creating Molecor (SEA) Sdn Bhd, as part of the international expansion strategy. The joint venture combines the molecular orientation technology patented by Molecor, located in the five continents and the the reliability of a firm with almost 30 years of experience in Malaysia and the Southeast Asia region. FITTERS is an investment and manufacturing company established in Malaysia on January 18, 1986 and is listed on the Main Board of Bursa Malaysia Securities. The main activities are in fire-safety materials, equipment and fire-prevention systems. The company reported a strong profit increase, +111% in 2013, which motivates them to launch a new line of business using exclusively molecular orientation technology made by Molecor. This commitment is realized with the establishment of the company “Molecor (SEA) Sdn Bhd”, which FITTERS is the major shareholder. “We’re clearly convinced about the PVC-O pipe possibilities worldwide and the entrance in the Asian market with a reputed partner is a new business venture model with a promising future,” said Ignacio Muñoz, CEO and founder of Molecor Tecnologia. This challenge confirms the international nature of Molecor and consolidates its international growth. Molecor is a pioneer company specialized in the development of the latest technology applying molecular orientation to manufacture PVC-O pipeline solutions with astonished mechanical properties. Founded in 2006, Molecor has developed a revolutionary process which provides reliable and user friendly systems that widen the pipe global business possibilities. 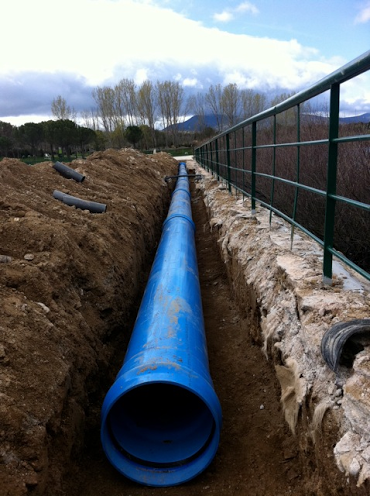 Molecor technology is already present in Spain, Australia, Ecuador, Colombia, and Italy, and is involved in many technology transfer projects in Canada, USA, Saudi Arabia, South Africa, and Russia among others, as well as numerous water infrastructure projects in countries of Europe and Africa.